Operator safety: An insulation system and additional springs protect the operator from sound emissions and vibrations. The ample cabin glass surface ensures a full view of the work area. 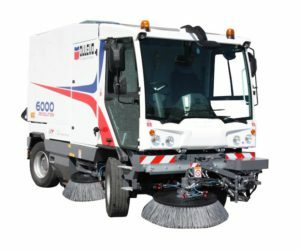 Environmentally friendly: Proven to eliminate fine particles 100%, compared to normal sweepers, while saving up to 60% of water, the Dulevo 6000 is capable of satisfying all future environmental requirements. The engine complies with the most recent European emission regulations.